14th February 2018, New Delhi: The issue of restaurant service charge has been in the news over the past few months. Many, including the Ministry of Consumer Affairs has called it an unethical business practice as it is nothing more than forced tips. 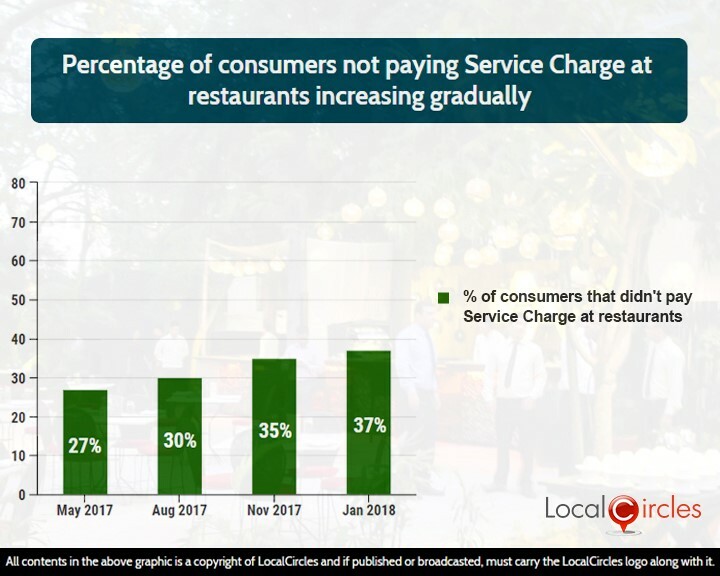 Regular consumer pulse on LocalCircles shows that many restaurants are still adding a service charge in the bill and forcing the customers to pay it. But the good news is that the number of people who are not paying this service chare at restaurants is increasing month-over-month, showing that the consumers are standing against the practice. 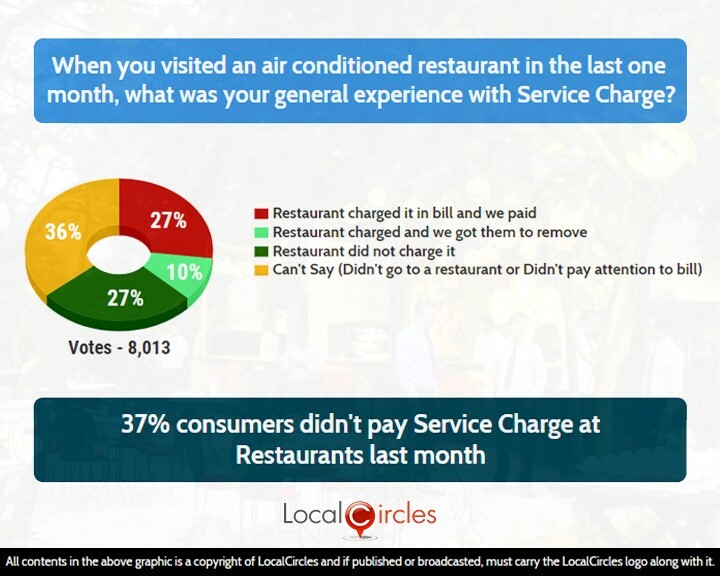 LocalCircles conducted its 4th pulse check on the issue in January 2018, and asked consumers what was their general experience with service charge in the last one month when they visited an air-conditioned restaurant. In response, 27% said restaurants did not charge it, 10% said restaurants charged and they got it removed, 27% said restaurant charged and they paid it while 36% did not pay much attention to their bills. 8,013 consumers voted on this poll. Similar pulse checks were conducted earlier across 2017 and the percentage of people who did not pay service charge at restaurants stood at 35% in November, 30% in August and 27% in May. The trend shows a slow but gradual increase in numbers, which could either be due to restaurants cracking under the pressure from ministry & consumers and removing the service charge component from the bills, or due to the consumers being empowered enough to stand up for their rights and telling the restaurants that they will not be paying tips forcefully and will only tip when they like the services offered. The month-on-month stats show that although the percentage of restaurants not charging service tax is showing a constant increase, the percentage of people getting it removed has become almost constant. 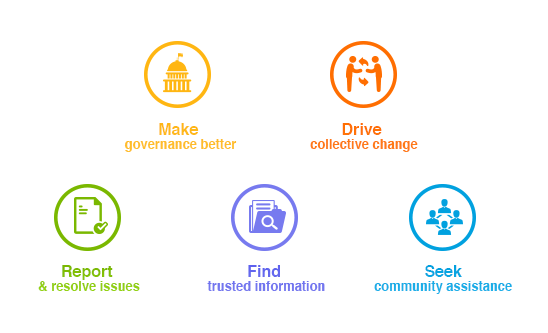 This points out to the fact that the department would need to do much more to make consumers aware and empower them further on this issue.